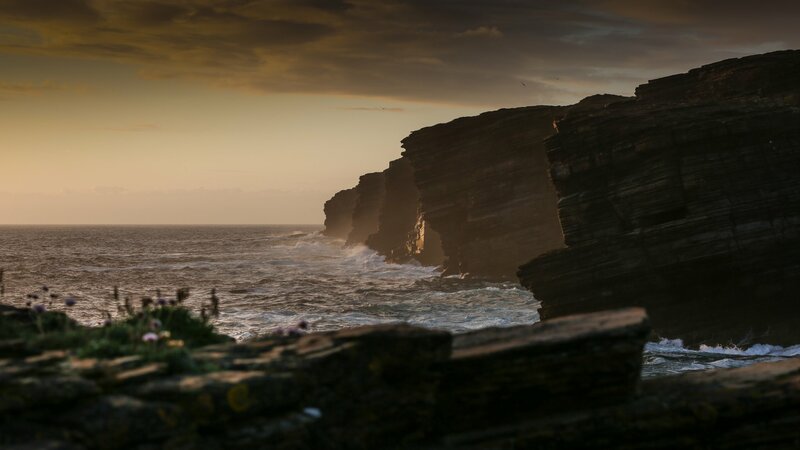 Towering cliffs, wild seas, a stunning sea stack and beautiful coastal scenery - Yesnaby is a real Orcadian highlight. 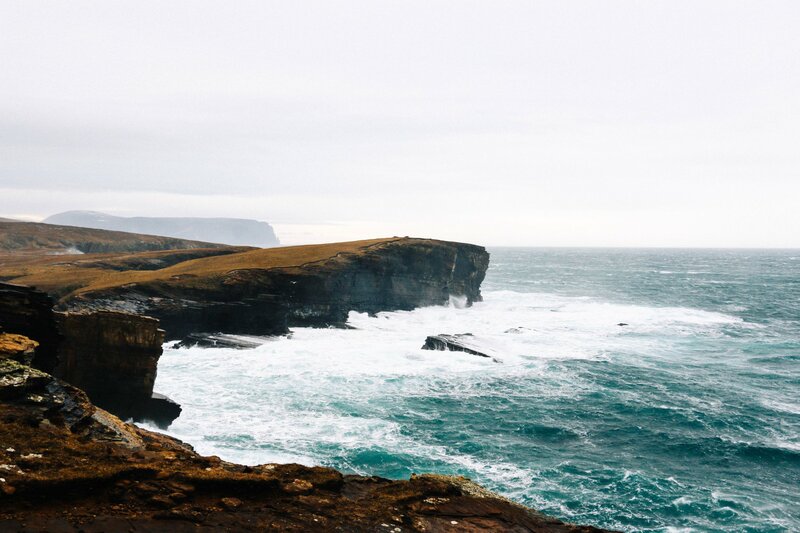 Yesnaby is one of the most spectacular stretches of coastline in Orkney, and should definitely be on your list of 'must see' locations during a visit to the islands. Found on the west coast of the Orkney mainland, this wild location offers stunning sea views. 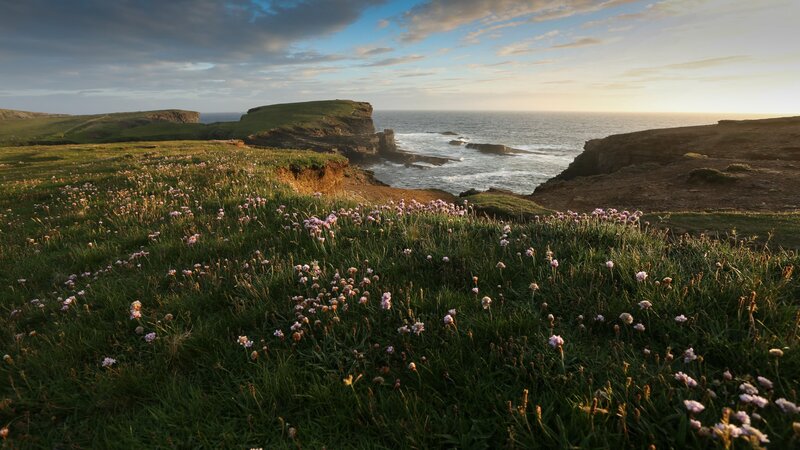 During a westerly gale you can expect huge waves crashing into the cliffs, but in calmer weather it's a nature-lovers paradise, with wild flowers - including Primula scotica - and plenty of seabirds to spot. The road to Yesnaby leads you to a small car park. Head south on the coastal path and walk across the Brough of Bigging for a view of the jagged and towering cliffs. Continue your walk along the coast past rocky inlets until you reach Yesnaby Castle, a delicate sea-stack with a natural arch. There are excellent viewpoints to enjoy the scenery here before heading back to the car park. You can also continue your walk south if you prefer, taking in more beautiful cliff views and sea stacks. Walk north from the car park you'll come to the Brough of Borwick, an ancient structure more than 2000-years-old, and views towards Marwick Head and the Brough of Birsay. 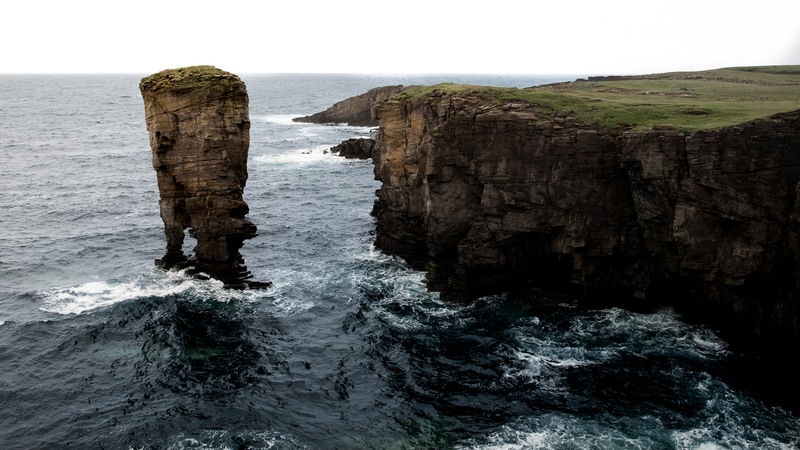 Yesnaby is a special location in Orkney, but always remember to be incredibly careful when walking on our coastal paths, and don’t venture too close to the edge. The rocks can be slippy and the ground underfoot at the edge of the coast can be loose and uneven. Just enjoy the sights and sounds from a safe distance.